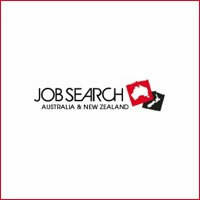 Backpackers and the otherwise budget conscious will find a great variety of accommodation options in New Zealand. Here we take you on a run-through of the main choices. First things first – we need to bring that marvellous Kiwi infrastructure of tourist offices known as i-Sites to your attention. Ditch the cumbersome and hefty guidebook – you won't need that here. Just wander into one of the just-about-everywhere i-Site offices and fill your boots with tons of free booklets, leaflets, flyers, maps and brochures which include all your accommodation options both where you are and further afield. All i-Sites stock prints of both 'Jasons Guides' and 'AA Guides' which give you a hard-copy database of hundreds of camp-sites, cabins, motels and so forth. Both are pay-to-advertise publications though which means the listings, although extensive, are not exhaustive. Camp sites, which are also called motor camps, can be found in vast numbers everywhere in New Zealand. From the wild, idyllic and basic or the heart of the action to comfortable and fully serviced – camp-sites here come in just about every guise possible. Although some are found in the more built up places and are therefore easily accessed with public transport, the real gems can only be reached by those who have opted to buy or rent their own campervan or car/tent. Tons of travellers choose to go down this route because in the long run it works out as one of the most economical options and is super easy to do. Having your own transport gives you absolute freedom to explore every nook and cranny of this magical country from well-trodden tourist trails to totally hidden treasures. Here's what you can expect on the camp-site menu. Top 10 Holiday Parks – these modern, well-equipped, 4- or 5-star rated camps are the top of the scale and typically the most expensive. All Top 10s will have hot showers, drinking water from a tap, electric hook-up, 'phone kiosks, barbecue area, equipped kitchen, washing up sinks and laundry facilities. You are also likely to get Internet access, TV room, games room and a dump station. Other facilities on offer may be tennis courts, swimming pool, bike hire, surfboard hire and spa pools. Besides pitches for tents and vans there will normally be basic cabins for hire or motel rooms. The settings are normally pleasant and park-like but quite regimented and orderly. Kiwi Holiday Parks - These are like the Top 10's earthier little brother. They tend to be a little more tucked away so will often, but not always, have better settings than the Top 10 sites. All sites, which are independently owned, offer toilets, hot showers (sometimes coin operated), communal kitchen area and laundry. They may also have certain added extras such as electric hook-up and Internet. Many of the Kiwi Holiday Parks – which are listed in one printed brochure available free from i-Sites - also offer self-contained units, motels or cabins for hire too. Department of Conservation Sites (DoC) - If you love the great outdoors, being surrounded by unspoilt nature in all her glory and, at times, the possibility of sharing with no-one else (local wildlife excepted) then boy are you in for a treat! 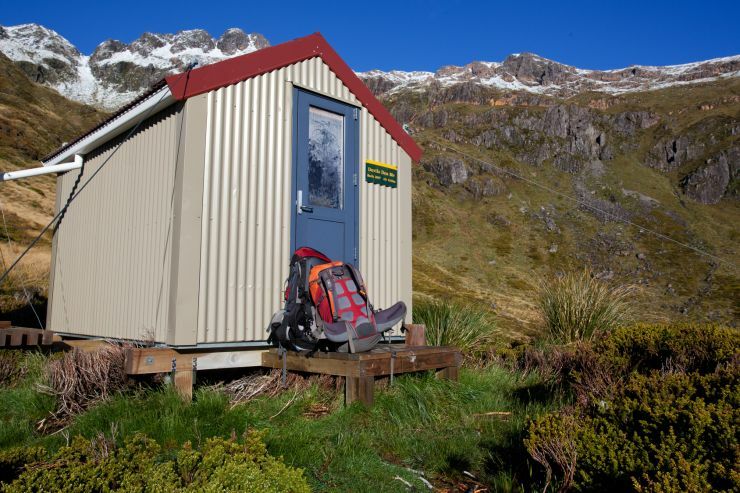 What's more DOC sites average around NZ $6 to $8 per person per night while many of them are completely free and often have cheap options for cabins and huts on-site too. 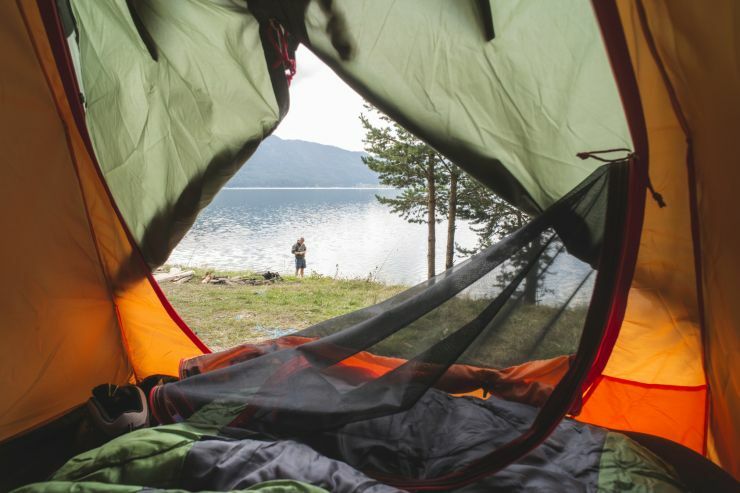 Small Independent Sites – Some of the super-cheap independent gems can't be found in any camp-site listings or online guides. I-Sites might sometimes have details or other travellers/locals might pass on a secret but otherwise you have to stumble upon them as you would hidden treasure. Wild Camping – Once widely practised, ever-tightening by-laws brought into force over the last few years are making this harder and harder. It is still possible however and many districts in New Zealand are still happy to welcome wild campers providing strict adherence to certain rules is observed when doing so. If you intend to go down this route make yourself VERY aware of what will earn you a responsible camper's badge. My 5 Star Driveway – This wonderful scheme, launched in 2014, hooks up locals in possession of a driveway/field/courtyard/otherwise large enough space to take a parked-up van, with anyone looking for a cheap camping alternative. You could find anything here – for example, one driveway owner in Christchurch will throw into the deal (for a small and negotiable charge) a roast dinner. The independent minded, free-spirited and budget-conscious arrive in their masses every year in New Zealand which means an enormous amount of hostels have sprung up and jumped to cater towards this market. Incredible choice and something for everyone, from fun and funky party hostels (they are usually the ones with the ludicrously wacky names) to serene and tucked away – take your pick. 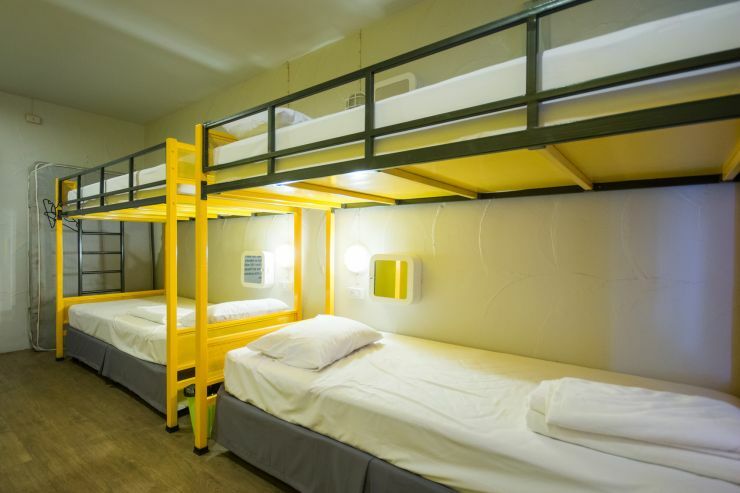 Most hostels offer dorm beds and private room options and quite what price might be attached can vary according to location, facilities and general popularity. Kitchens tend to occur more often than not in New Zealand hostels so you can save tons by cooking for yourself. Within New Zealand five hostel organisations exist - YHA, BBH, VIP, Nomads and Base. For each of these organisations you can purchase their hostel card which means discounted rates for stays at all their hostels and usually some extra benefits or money off tour vouchers. If you plan to use hostels a lot some of these are great deals. Be aware that in peak season you will need to book ahead and the most popular hostels may be like this year round. Motels offer another budget choice for backpackers and facilities typically include a private bathroom and kitchenette; a great option for travelling couples who want some real privacy and surprisingly often cheaper than hostels or even serviced camp-sites. The Budget Motel Chain www.budgetmotelchain.com.au has motels throughout New Zealand and a free guide can be picked up at any one of these or through i-Sites. 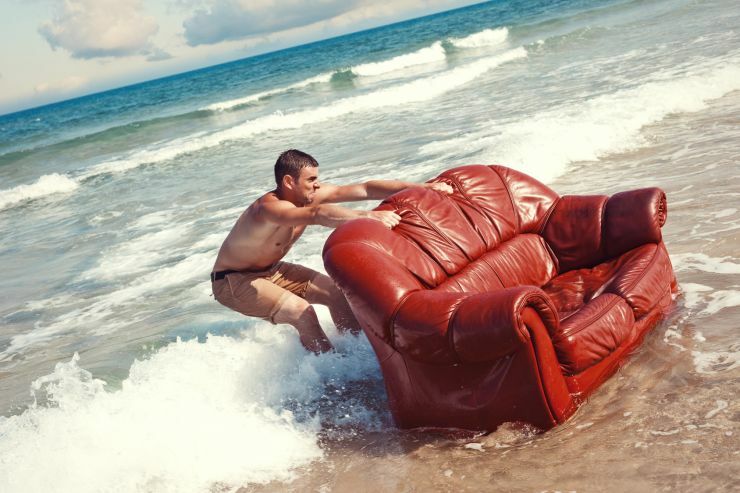 Now a global phenomenon, Couch Surfing has a membership of millions worldwide. Essentially a hospitality exchange and social networking facility, this is how it works - all over the world there are people who are prepared to offer a total stranger a bed (sometimes a couch) for the night(s) in their house. This in turn gives them access to the same privilege when they go travelling themselves. And just in case you are now thinking – oooo a freebie – you need to know, should your only focus be a free bed for the night, you won't be very well received. This is all about cultural exchange. Should you be a solo female traveller, we understand this might appear to be exactly the kind of thing your mother always told you not to do but the website has its own extensive guide to safety and how to use the website to maximise this. Additionally, women can choose women hosts or explore the feedback of a host's history of guests. Joining is free - www.couchsurfing.com has further details.